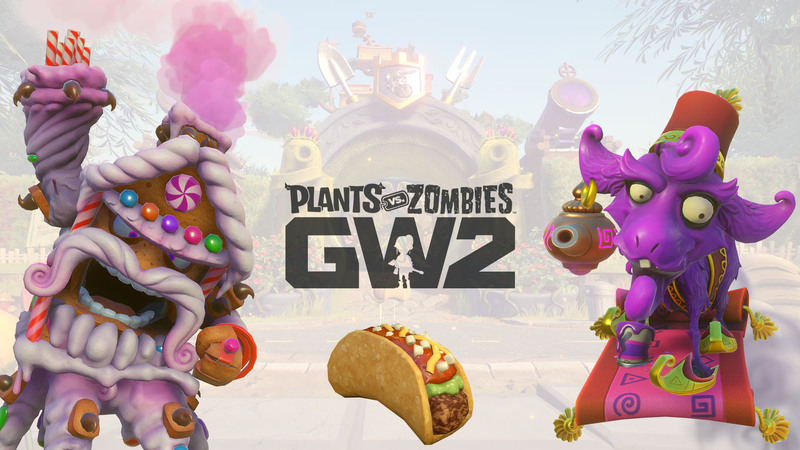 Ready your Orange Beam and your Heroic Fists – brand-new, taco-tastic, totally goat-rageous content is here from Plants vs. Zombies Garden™ Warfare 2! We’re just two months away from our third anniversary and we’re committed to providing you with exciting ways to play. Yesterday, we dropped our latest free content update* and we can’t wait for your feedback! Keep reading for all the tasty details. Starting on December 7, head to the Backyard Battleground for this all-new, extra-spicy Mystery Portal Event! 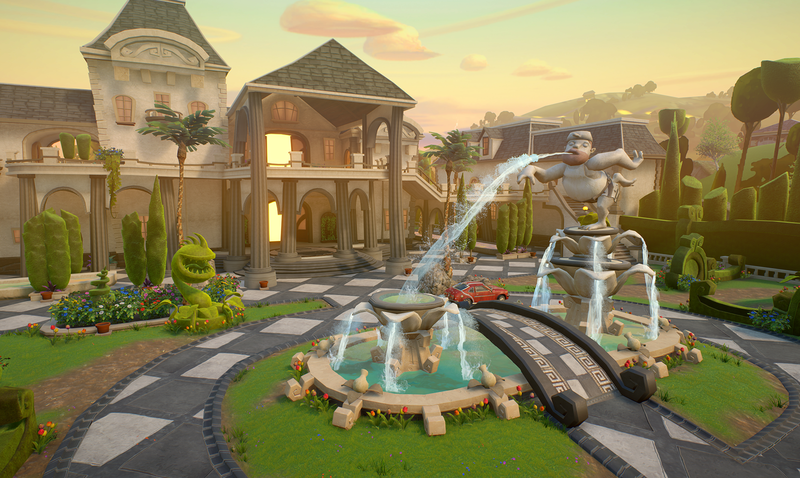 Reminiscent of Garden Warfare’s Taco Bandits, Capture the Taco uses traditional Capture the Flag-style gameplay. The first event is available to play until December 17, ten days after it begins. We are also looking for your feedback on what you love, what you love less, and how we can improve the event. Let us know what you think here! Coming to a Mystery Portal Event near you – fresh crazy settings! Now you can add extra zing your battles with four additional settings. Berserker: Go out with cobs blazing! In Berserker, your damage increases as your health gets lower. Healing Auras: With no passive health regeneration, you’ll provide healing vibes only by standing near your teammates. Crazy Regeneration: This one is practically opposite from Healing Auras. With Crazy Regeneration, passive health regeneration is lightning fast. All Legendary, All Random: Ready to get random? With this setting, you’ll play as randomly assigned Legendary-only characters. Goat for glory with six full character Costumes for Torchwood and Hover Goat-3000 (three per character). These unbeleafable outfits will be available via Rux through December and early January, reappearing again sometime in the future. For players who were unable to unlock Torchwood and Hover Goat-3000 in the Trials of Gnomus, we’ve added the opportunity to unlock them in the Torch and Tail Upgrade PDLC. Loyalty Reward Alert: If you have unlocked Torchwood or Hover Goat-3000 prior to December 13 – goat job! You’ll receive a random Costume for each owned character. Can’t wait to jump into the Capture the Taco event this week? Great! Please play and send us your feedback – we’re excited to hear from you. There’s also more content coming soon, so keep your ear** to the ground and stay tuned! 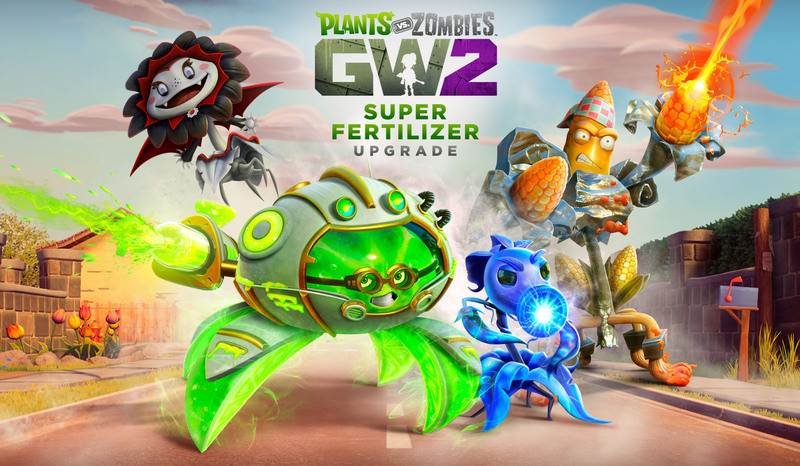 *REQUIRES Plants vs zombies™ garden warfare 2 ON THE PLAYSTATION 4, PC, or XBOX ONE (Each SOLD SEPARATELY), ALL PREVIOUS Content UPDATES, PERSISTENT INTERNET CONNECTION and up to 32 GB of storage to play (storage requirements subject to change). **Note: Neither plants nor zombies have actual ears. Unlock new characters, abilities, customizations, and more with these new bundles! Celebrate three years of PvZ GW2 goodness with fan-favorite Wall-nut Hills map, Soil Survivor, Twilight Chomper, and more.